The face of golf ace Tiger Woods was all over the media a week or so ago as pictures of his missing front tooth (knocked out we’re told by a video cameraman) were printed and screened around the world. Then, miraculously, it seemed just a few days later there were pictures of Tiger again and this time he sported a brilliant full smile of pearly white teeth. With not a gap in sight. It just goes to prove that anyone can suffer an accident and have a lost tooth. But the big question is … if it happens to you what should you do about it? 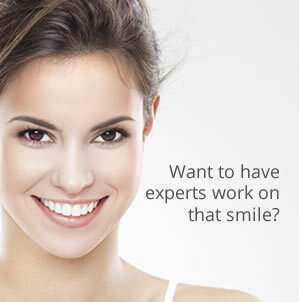 And what steps should you take to restore your smile? What to do if you lose a tooth. DO NOT touch the root. Hold the tooth only by the crown. Protect it by placing it in a small clean container or a clean plastic bag. The best way to store the tooth is in saliva. In other words spit on it. This may sound crude but it is a perfectly natural preservative. Alternatively store it in milk. Depending on the condition of the tooth, when your dentist re-implants it they may need to carry out some root canal treatment. Don’t worry though, these days it is by no means a painful process and you can read more about it on our Root Canal Therapy page. What can be done if the tooth is broken? If the tooth has been fractured or it has been left too long then unfortunately it cannot be saved. In Tiger Woods’ case for instance, he probably had a tooth implant to restore his smile. This is now a fairly routine procedure in which your dentist will insert a titanium implant into the jaw. Then ideally it is best to allow this to heal for four to six weeks before a crown is fitted onto the implant. Sometimes it is possible to fit a temporary crown to the implant during the healing period (this is probably what happened in Tiger Woods’ case) and when the healing is complete the temporary crown will be replaced with a more long-term crown. Our advice however, is wherever possible to allow the implant to heal before fitting the crown. You can watch a video about this procedure on our Dental Implants page. If you should be unfortunate to suffer a knocked out tooth you are most welcome to consult us by telephoning 0161 951 7295 even out of surgery hours or over weekend when we offer Emergency Dental Services in Manchester. Just explain the circumstances and we will do our very best to arrange an urgent Emergency Dentist Appointment.